During the Reformation period religious debate was so fierce that most Scots learned to read the Bible for themselves -- exercising the Scottish love of learning and strong tendency to think for themselves. Scotland became one of the most literate nations on earth. Additionally, Scotland was a poor country, accustomed to sending her sons and daughters out into the wider world to make their way. Courageous, well-educated and forced to compete against the great resources of England, is it any wonder that a list of famous Scots would run into the hundreds? There are famous Scots scientists -- think of Alexander Fleming, discoverer of penicillin, or Joseph Lister, pioneer in germ warfare. There are great Scots inventors -- Alexander Graham Bell, James Watt, and Sir James Dewar, inventor of the vacumn flask (needed a way to keep the Scotch handy?). And world-reknowned Scots philosophers (David Hume, Adam Smith). Not content to invent, Scotsmen have a knack for making money as well. Consider Andrew Carnegie or David Jacks, Scots immigrant (born in Crieff) and controversial landowner/dairy farmer in Monterey County, California - yes, the popularizer of Monterey Jack, one of America's favorite cheeses. Famous Scots have explored the world, noting its natural wonders (John Muir and David Douglas, namer of the Douglas Fir) and bringing their deeply held religious beliefs to people everywhere. Religion has played a vital and ongoing role in Scottish history - producing Christian saints and missionaries from the early days of St. Columba and St. Margaret to the selfless giving of 19th and 20th century missionaries such as David Livingstone, Mary Slessor and Eric Liddell. Along with their acknowledged gift for music, Scots excel at all the fine arts and have produced some famous actors such as Sean Connery, David Niven, Ewan McGregor, Gerard Butler, and Billy Boyd, not to mention comedian Craig Ferguson and world-famous art nouveau artist and designer, Charles Rennie Mackintosh. However, the art of writing is where Scotland really shines - there are so many wonderful and timeless authors born and bred in Scotland that we've created a separate page just for them - please visit Famous Scots Authors to find out more about Sir Walter Scott, Robert Louis Stevenson, Robert Burns, J. M. Barrie, Sir Arthur Conan Doyle, Muriel Sparks and many more. When we read about accomplished people of the past and present, we are inspired to further greatness in our own lives and to take pride in our heritage. We hope you too will be entertained, fascinated and inspired by the "Great Scots" featured on our website. Please choose from the side bar to your left to read short biographies of some famous scots. Famous Scots explorer and missionary David Livingstone ("Dr. Livingstone, I presume") records his African adventures. Livingstone's autobiography is entitled The Life and African Exploration of David Livingstone. Alexander Graham Bell's deep concern for teaching the deaf led to his invention of the telephone. A great Scot inventor and humanitarian. Reviews are mixed - Carnegie lived in very different business times - but it's always fascinating to read what people have to say about themselves. Fascinating new bestseller about how five incredibly talented men - including Scotsman James Watt - shared their lives and ideas in their self-styled "Lunar Society" - and started the Industrial Revolution. Highly recommended. John Muir, the world-renowned conservationist, tells his own stories of adventure in the wilderness. Must reading for Muir admirers and all those with a heart for our environment. Scotland's premier philosopher. A lively biography - not just for those interested in Hume's philosophy. Not all Scots immigrants fought for America during the War for Independence - but John Paul Jones singlehandedly made up for those who didn't! One of a very engaging series of biographies, written from a conservative Christian viewpoint. A 5-star biography of a most fascinating individual - Conan Doyle's life was as interesting and unique as his stories. One of our personal heroes, Scots Olympic runner Eric Liddell was made famous in the movie Chariots of Fire. This 5-star biography of Eric Liddell is the best of the several biographies available. Well respected and readable biography of Robert Burns. The title comes from a quote about Burns by Lord Byron. This is the definitive biography of Highland hero Rob Roy MacGregor. 5 stars, highly recommended. 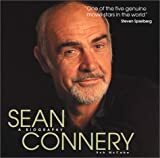 Photographic biography captures the life and times of this talented and much respected actor. 5 stars. Makes you proud to be Scot! This book is a best-seller and no wonder - talk about "ego feed" for anyone with Scots blood. Still, who can resist? And, of course, it's all true! From the flap: "Who formed the first modern nation? Who created the first literate society? Who invented our modern ideas of democracy and free market capitalism? True (and sometimes hard to take) story of Scots seaman and pirate, Alexander Selkirk, who survived for four years on a remote island off the coast of Chile in the early 1700s. Daniel Defoe based Robinson Crusoe on Selkirk's adventure. Well-researched with very lively and engrossing writing.